When you think of Cornwall what comes to mind? Cornish Pasties? Great beaches and surfing? Rolling countryside? Farmers? Family holidays? Hot Air Balloon Rides?! 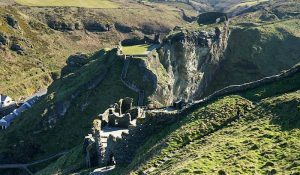 There are lots of things to see and do in Cornwall but it’s not very often that visitors relate Cornwall with a hot air balloon ride! How many times have you seen a balloon in the sky and wondered how does it work, where does it go and what does it see? Well now’s the time to find out! Booking a hot air balloon ride over Cornwall couldn’t be simpler with Aerosaurus Balloons – the largest balloon operator in the South West. Easily accessible from all of Cornwall ‘s main towns and holiday destinations such as Padstow, Rock, St Ive’s, Newquay, Bude, St Austell, Wadebridge and Truro, our Cornwall flights take off from handpicked launch sites in North Cornwall between Launceston and Bodmin regularly throughout the main flying season March – October. Float along with up to 15 other passengers (plus the Pilot) on one of our Champagne Balloon Flights or, if you prefer, take an exclusive flight for you and your loved one(s)! See the beautiful Cornish countryside and landscape from the air whilst floating along with the breeze and sipping chilled Champagne! Views stretch for miles with many famous landmarks regularly being seen. The largest Island in the Bristol Channel is Lundy Island, around 12 miles off the coast of Devon and designated as a site of special scientific interest with its high and rugged cliffs on the west side and grassy slopes, trees and wild flowers to east where it is sheltered from the prevailing wind. Why not see the island from the sky and then take a boat trip to explore on the ground with the MS Oldenburg, sailing up to 5 times week in the summer. 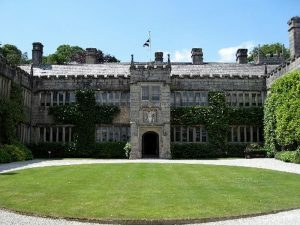 Perhaps you might see the iconic ruins of Tintagel Castle which is linked to King Arthur, the prehistoric landscape of Bodmin Moor which is dominated by dramatic granite tors and deep river valleys or the grandest house in the county – Lanhydrock House, an elegant 19th century home now owned by the National Trust. After a fabulous flight with us, why not stop off at St Austell Brewery and take a tour with some essential beer tasting of course! 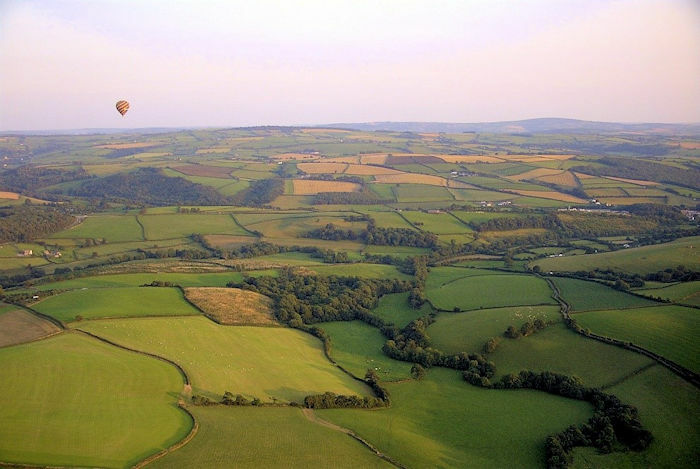 Book your Cornish Balloon Flight now www.ballooning.co.uk for yourself or give a loved one a Balloon Flight gift!